We bring our experience to your unique situation. Each family that we work with has their own story and their own needs. Using your input, along with our knowledge, you will be assured that the best care options are being discussed and implemented. Navigating the care of an aging family member is stressful. Family members want to make the best decisions for the care of their loved ones. The best way to reduce this stress is to work with the care management team who has the most experience. Our care managers have been helping families, in the Austin, Texas, area since 1989. 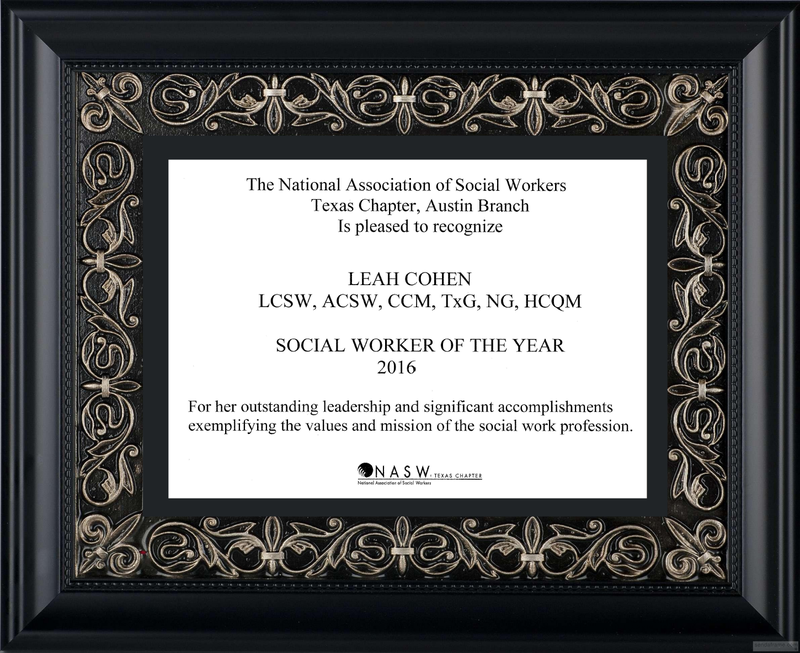 Our founder Leah Cohen won the Social Worker of the Year Award from the National Association of Social Workers for the Austin area in 2016.
arrangeCARE was one of the first companies to offer this service to families in Austin. Leah started working with families in Chicago in 1982 when she worked for the Council for Jewish Elderly as their first BSW. She went on to the Administration in Aging Fellowship for graduate school. She helped start the Gerontology Center at the University of Illinois and has been honored to serve as a Delegate to the White House on Aging. Leah was a Chicago Community Trust Finalist for a project looking at the economic aspects of family caregiving in different countries. Leah became the first licensed guardian in the State of Texas. With all of this experience, you will not go wrong selecting arrangeCARE as your partner in making care decisions for your loved one.